Gurdjieff, Astrology & Beelzebub’s Tales. Gurdjieff ‘Old’ or ‘New Age’: Aristotle or Astrology? Is There an Original Beelzebub’sTales? 2010 Legitimate Forms of Knowledge? 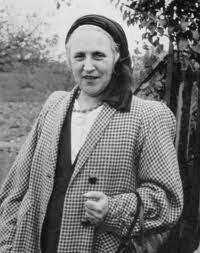 Sophia Wellbeloved was born in Ireland, and is an historian of Western Esotericism, with special reference to 1920s and 1930s Paris, focusing on the life and writings of G. I. Gurdjieff (1866? – 1949). Awarded a Ph D at King’s College, London in 1999 She is the author of research papers and books relating to Gurdjieff, these include Gurdjieff,Astrology & Beelzebub’s Tales, 2002 and Gurdjieff: The Key Concepts, Routledge, London and New York, 2003. She was the Director of Lighthouse Editions (2005 – 2011) which published books related to Gurdjieff and a co- founder in 2006 of the Cambridge Centre for the Study of Esotericism. Abstract: the text presents an analysis of the narrative subject matter of ‘Beelzebub’s Tales To His Grandson’ (Tales), in terms of astrological correspondences. Part One contains preliminary information relating to Gurdjieff’s teaching, to astrology, and to the links which connect them. Part Two contains an analysis of the text. In Part One the events of Gurdjieff’s life/myth are given in the light of cultural and historical contexts and these are related in general to the forms he gave to his teaching, and in particular to to some of the strategies he employed in the Tales. Gurdjieff’s cosmological Laws of Three and Seven are examined in relation to some of their possible origins in Christian, Western European occult, and Theosophical ideologies. Gurdjieff’s knowledge of astrology is explored, and his cosmological laws are shown to be similar to those of astrological cosmology, and to be largely derived from them. 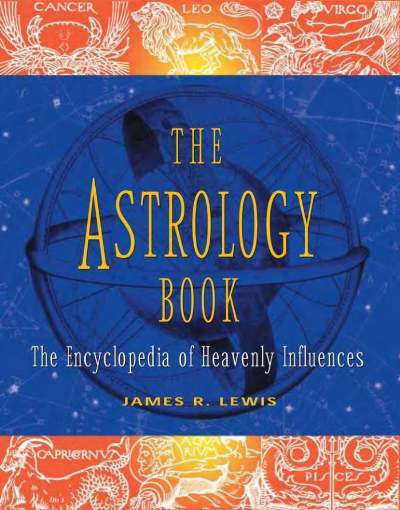 There is an account of zodiacal structure and terminology, and of the system of correspondences used in popular astrology of the 1920s and 1930s. Part Two consists of an analysis of the Tales. Four sets of twelve chapters are examined. Each set of twelve chapters is analysed in terms of subject matter in correspondence with the twelve signs of the zodiac. The relationship between these set of twelve chapters is explored in terms of the symbolism of the sun, moon and mercury, the functioning of the cardinal, fixed and mutable astrological modes, and in terms of Gurdjieff’s Law of Three. The conclusion reached through this analysis of narrative subject matter is that the Tales is a zodiacally structured text. An accessible and fully cross-referenced A-Z guidebook, this is an invaluable companion for both the newcomer and those more versed in Gurdjieff’s thought and teachings. In his written teachings, G. I. Gurdjieff (1866?-1949) uses two opposing modes of defining the universe, humanity and their relation to each other, and thus sets up two conflicting sets of instructions for his reader. 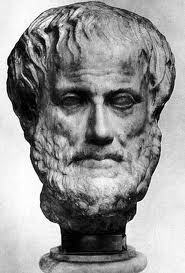 One set of definitions is Gnostic hierarchical and complex, in which ever more precise definitions are arrived at by the Aristotelian method of classifying things, people, and the world according to their differences. This method of classification answers questions such as, ‘what is special about this, how is it separate from the mass of the all?’ The other mode which Gurdjieff uses is that of astrological correspondences, in which things are defined by their similarity to others. This method leads to an ever widening net of likenesses and answers questions such as ‘how is this thing like other things, how can it be joined to other things and approach closer to the all?’ His texts require the reader to make some reconciliation between these two modes of defining and understanding himself and the world around him. This paper will outline the modes of definition and relate them briefly to Gurdjieff’s references to the ‘Old Age’ Theologies, Philosophies and Sciences of the last two millennia and to the pre-Aristotelian and post-modern ‘New Age’ modes of classification. It will show that while Gurdjieff’s texts seem to provide a rigidly defined frame-work of cosmology and psychology, they are in fact paradoxical and anomalous. The multivalence of these texts reveal a teaching that is more ‘New Age’ than ‘Old’. I will show that Gurdjieff’s second mode of defining humanity’s relation to the universe is embedded in the zodiacal structure of his texts within which humanity belongs in a universe in which the above and below, the macrocosm and microcosm are already inter-connected and these connections are defined by astrological correspondences. These second-mode definitions answer questions about connectedness: how is this thing like other things: how can it be joined to other things and become closer to the all? Both these sets of thinking have their origins in Mesopotamian astronomy/astrology of the pre-Christian era, but while the first, Aristotelian mode became mixed with Judaic Millenarian thinking and was absorbed into the Christian theological establishment where it is understood that time will come to an end, the second, Mesopotamian thinking on interconnection and recurring cycles of time was rejected by Christian Theology. However, this way of understanding the universe did not disappear but has remained in occult teachings and as a common language of European culture for the past two thousand years. In all this, as well as his insistence on ‘precise’ language, Gurdjieff appears to be adhering to the notions of Aristotelian methods of classification by difference as he defines his theory of cosmic levels, material density, speeds of vibrations, the complex analysis of the digestion of food. However, much of this apparently scientific mode of teaching belongs to ‘occult science’ a re-definition of the occult which arose after the Enlightenment. Where previously the teachings, unaccepted by established Christianity, had become occult religions, these now became occult sciences. Occult teachings, the Work included, have since then tended to re-define themselves as psychologies or philosophies, and some are now, like the Work Foundations, in the process of becoming Traditions, returning, as it were, to a religious fold which had its origins in the pre-Christian era. Thus ordinary states of being are connected with the lower parts of our centres which function best with the ‘precise’ language which defines through separation; while the higher parts of centres, operating in non-ordinary states, can receive the ‘objective knowledge of the all’ contained in myth and symbol. The mode of definition common to astrology, alchemy and magic, is that of astrological correspondence in which things are defined multivalently by similarities, their connectedness to the All: by which the above and below, the macrocosm and microcosm are inter-related. The Western European cultural history of astronomy/astrology from early in the Christian era to our own time, has wrestled with the dichotomy between science and religion, and this divide was re-enforced after the formal establishment of Christianity (at the Council of Nicaea in 325AD). Although this is an extreme simplification, one branch of astronomy/astrology aimed at precise measurement and calculation required by science (Ptolemy, Copernicus, Galileo), and the other, ‘religious’ side of astrology focused on the myth and symbolism of the zodiacal gods and on astrological correspondences (Pythagoras, Neo-Platonists, Theosophists, Jung). At its most rigid, astrology determined the mechanistic fate of a person’s entire lifespan against which there was no option of change, whilst magical arts used astrological charts (elections), correspondences, and house symbolism to form talismans and spells which sought an amelioration or escape from fate. Both these aspects of astrology remained entwined until after the Enlightenment, and both strands of thinking are discernable in Gurdjieff’s teaching: the ‘mechanistic’ fixed fate of man as he is, and the hope of freedom from that fate via the evolutionary path that he teaches. The history of astronomy/astrology in the West shows something of how the two kinds of language Gurdjieff refers to came about. While the ‘scientific’ side with its ‘precise’ language has been gradually privileged by the West, the religious side, stemming from Eastern myth and numerology, has remained present in occult teachings and also in Christianity, because, although Christianity rejected the practise of judicial astrology it retained its myth and number symbolism. These are incorporated into paintings, architecture and, most relevantly for our enquiry, in the structure of texts both sacred and secular. All of Gurdjieff’s four texts, including The Herald of Coming Good, are myths which enshrine his cosmic and psychological teachings in a fictional form, and which, if we regard them in accordance with his own teaching on myth, are offered to some higher part of our emotional centre and thus beyond the interpretation which would give rise to any final or closed reading. In Meetings Gurdjieff creates a myth of his own life story in which the many, his group of friends become unified into one, a brotherhood of Seekers with a single aim. In his teaching Gurdjieff used the term ‘Philadelphia’, the city of brotherly love, as the necessary destination for all pupils. There are many references in this text to Gurdjieff’s brotherly feelings and to ancient brotherhoods. In Life Gurdjieff creates a myth, often accepted as a true autobiographical account of events in his life in New York in 1931. Paul Taylor has shown that of the events Gurdjieff records some took place as described, while others took place but on different dates, and some never took place at all. [Ref. 27] In this myth, Gurdjieff has evolved to a place where he is free of the constraints of time; the text takes place in the ‘real’ or eternal present where ‘I am’ is a defeat of time. We can see that in the Tales and Herald, time divides and separates, the movement is involutional from the one to the many; while in Meetings and Life, love unifies and joins, the movement is evolutional from the many to the one. In the Tales Gurdjieff defines love and time as unlike any other forces in the universe; they are alone in having no separate place of their arising, and are present everywhere. We can connect the destructive element of time with the ‘precise’ language which will corrupt and become meaningless, and the creative force of love with the incorruptible language of myth and symbol. As readers we may ask whether it is possible to separate everyday precise definitions required by the lower centres from the myth method of a non-interpretive grasping of the all required for the higher centres? We also need to ask how these two approaches to understanding can be related to Gurdjieff’s instructions on how to read his texts. At first it might seem that the ‘myth method’ of not interpreting the text would be the one for us to adopt as readers, and this is the approach taken by the Gurdjieff Foundations [Ref. 30] . However, this does not accord with Gurdjieff’s instructions to his reader. Gurdjieff requires us to read his books, firstly as we would usually read a ‘contemporary book or newspaper’, secondly as though aloud to another person, and only later, in the third reading, to ‘try to fathom the gist’ of what he is saying. [Ref. 31] If we attempt to read the Tales like this we will find that the advice proves impossible to follow. Gurdjieff’s long complex syntax demands close attention; we cannot read it as we read books and newspapers, because it is not written the way books and newspapers are written. Unless we try to make some sense of the multiple clauses we are not reading at all, merely letting words pass in front of our eyes. Thus, before we reach the second required mode of reading we are already involved in the third. As readers we may embark on this journey in a spirit of enquiry, but Gurdjieff’s complexity of language and ideas calls for considerable investment of time and effort. The longer we stay trying to understand him, the further we become entangled in and confused by his texts. Gurdjieff’s apparently simple instruction proves deceptive, and echoes the paradox of his practical teaching which demands that pupils must make efforts to work on themselves, to struggle to awaken, even though they are machines and have no ‘will’, no central ‘I’ to work on, and no ability ‘to do’. We can recognise Gurdjieff’s cosmic and psychological teachings, originally given in an oral form and expressed in the apparently ‘precise’ language, in each of his texts. However, these are made more complex, and less easily grasped in the Tales by his use of ‘Karatasian’, the language of Beelzebub’s home planet. Thus the Law of Three becomes the Law of Triamazikamno, the Law of Seven, the Law of Heptaparaparshinokh. As readers we must retain some knowledge of Karatasian, in order to negotiate the text, and as there is no glossary, and Gurdjieff only defines words once, we need to take notes of the vocabulary. Some Karatasian words suggest possible English and/or other earth language sources and possible interpretations, but they also seem to provide a subversion of the exact language Gurdjieff has earlier demanded. The mode in which Beelzebub instructs Hassein on these laws is also more dense and complex than that in which Gurdjieff instructs his pupils. On the other hand, as shown above, it is not possible to read the texts or listen to them being read without any sense of meaning at all, i.e. to accept the texts as meaningless to all but the higher part of the emotional centre. Gurdjieff demands a great deal of his reader who needs to have some knowledge of the commonly held Biblical, scientific and religious and other myths on which he drew. If we cannot recognise the references he makes to these origins we will be unable to understand his commentary on them. The reader is left to work out how to make a reconciliation between the two languages Gurdjieff uses, the ‘precise’ and the ‘mythic’. Gurdjieff’s texts are a critique of the modern, expressing complex laws and sets of information, but also enshrining eternal verities, primarily, love’s defeat of time. This is in essence, the Christian myth where, by the sacrifice of his own life, and through the power of his love for humanity, Christ redeems time and conquers death. However, this myth has its origin in earlier times. Gurdjieff reaches back to Mesopotamian astronomy/astrology and to early Greek number symbolism and myth representing a pre-Greek rational and pre-Christian Western European culture; he also reaches forward into a post-Einsteinian, post-First World War culture, and its willingness to question Christianity, long Europe’s central social, moral and political power, and to question also Enlightenment science and the supremacy of rational thinking. He did this in the context of a European culture that was, and still is, in the process of re-defining time, humanity, the universe, and their inter-relations. Despite Gurdjieff’s patriarchal tone, apparent or actual misogyny, authoritarian mode of teaching, and admiration of political and spiritual hierarchies; and despite the apparently Aristotelian precision defining his complex ideas, his demand for logical reasoning from pupils, and his own interest in contemporary science technology and medicine; nevertheless, much of the material which Gurdjieff draws on comes from the same underground, subversive occult teachings as those which ‘New Age’ practices are exploring and re-expressing within our culture. These include astrology, alchemy, Kabala and forms of magic and healing. In all of these the fundamental language employed to connect microcosm and macrocosm is that of astrological correspondence. [Ref. 2] Wellbeloved, Sophia, Gurdjieff, Astrology & Beelzebub’s Tales. (G&A), Solar Bound Press, New Paltz, NY: 2002, pp. 27-31. [Ref. 3] In Search Of The Miraculous: Fragments of an Unknown Teaching (Search). London: Arkana, 1987; 1st pub., New York: Harcourt Brace and World, 1949. [Ref. 4] Search, p. 277, see also Wellbeloved, Sophia, Gurdjieff: The Key Concepts. London and New York: Routledge, 2003, ‘Understanding Literal’ pp. 216-17. [Ref. 6] Search, p. 68. [Ref. 7] see the Language entry, Gurdjieff: The Key Concepts pp. 114-15). [Ref. 9] see the ‘Experiments’ and ‘Groups in WW2’ entries in Gurdjieff: The Key Concepts, pp 76-7, 88. [Ref. 10] Tales, p. vi. [Ref. 11] see Views From The Real World: Early Talks Of Gurdjieff. (Views), London: Routledge Kegan Paul, 1976, 1st pub., 1973, pp. 201, 275. [Ref. 14] Search, p. 279. [Ref. 15] Gurdjieff’s best known visual symbol is the Enneagram, which although it has gone on to acquire a life of its own, is sadly beyond the scope of this paper. [Ref. 16] Search, pp, 283-84. [Ref. 19] See Garin, Eugenio, Astrology In The Renaissance: the Zodiac of Life. Trans Carolyn Jackson and June Allen, revsd by the author and Clare Robertson, London: Arkana1990, pp. 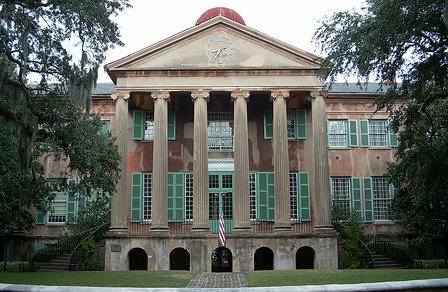 xi-xiii. [Ref. 20] Blavatsky ends her Preface to the Secret Doctrine with her aim that the book may ‘show that Nature is not “a fortuitous concurrence of atoms”, and to assign to man his rightful place in the scheme of the Universe; to rescue from degradation the archaic truths which are the basis of all religions; and to uncover, to some extent, the fundamental unity from which they all sprung; finally, to show that the occult side of Nature has never been approached by the Science of modern civilisation.’ Blavatsky, H. P., The Secret Doctrine: the Synthesis of Science, Religion, and Philosophy. 2 vols, London: Theosophical Publishing House, 1888; repr. 1988, p. viii. [Ref. 22] Joyce, James, Ulysses, Shakespeare & Co Paris; 1922, part pub. 1919, 1920. Finnegans Wake, London: Faber, New York: Viking, 1939, and Yeats, William Butler, A Vision. Revsd edn London: Macmillan 1937, 1st pub., privately 1925. [Ref. 23] G & A pp. 35-76, see also ‘Gurdjieff’ The Astrological Encyclopedia. [Ref. 27] Taylor, Paul Beekman, Gurdjieff and Orage: Brothers in Elysium. York Beach, Maine: Weiser Books, 2001, pp. 167-172 and more fully in ‘Deconstruction of History in the Third Series’, All & Everything, Proceedings of the International Humanities Conference, ed. by H. J. Sharp and others, Bognor Regis: privately published, 1997. [Ref. 28] Gurdjieff, G. I. The Herald of Coming Good, Edmunds, WA: Sure Fire Press, 1988; reprint 1st pub., Paris: privately published, 1933, p.76. [Ref. 29] Gurdjieff, G. I., An Objectively Impartial Criticism of the Life of Man, or Beelzebub’s Tales To His Grandson. (Tales), Routledge & Kegan Paul, London: 1950, p. 124. [Ref. 30] The Gurdjieff Foundations were formed, initially, by Gurdjieff’s successor Jeanne de Salzmann in order to protect and disseminate Gurdjieff’s teaching as received by his immediate pupils. [Ref. 31] Tales p. vi. [Ref. 32] G&A, pp. 77-83. pub., 1964, Early Modernism: Literature, Music and Painting in Europe, 1900-1916.
in English, Routledge& Kegan Paul, 1983, 1st pub., in Italian, Lo Zodiaco delle Vita. Joyce, James, Ulysses, Shakespeare & Co Paris; 1922, part pub. 1919, 1920. 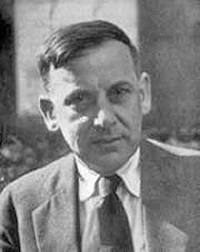 Ouspensky P. D., In Search Of The Miraculous: Fragments of an Unknown Teaching. Abstract:New developments in the Gurdjieff. teaching (the Work) have raised questions about the authentic line of the teaching. James Moore in his article “Moveable Feasts: The Gurdjieff Work”; (Religion Today 9 (2), 1994: 11-16) argues that, in terms of the dialectic between personal endeavour and supernal grace, Gurdjieff’s teaching is based on making effort rather than receiving grace, working rather than being worked upon. The article looks at some references to love made by Gurdjieff and by some of his pupils. It suggests that, although absent from Work teaching in the Gurdjieff Society in London from the 1950s to the 1980s, grace was an element of Gurdjieff s teaching, and that new practices may serve to restore grace. Patterson – a long term student in Gurdjieff’s ‘Fourth Way’ teaching – examines the appropriation (‘taking with the left hand’) of Gurdjieff’s teaching by people concerned in the three ‘Fourth Way’ teachings mentioned in the title. The author traces the history of each teaching and outlines how he believes they have deviated from Gurdjieff’s teaching. The searcher for whom this book is written might wonder why the standards demanded of ‘faux-Gurdjieffian’ teachers are not demanded of Gurdjieff. Why may Gurdjieff lie in order to tell the truth, while Mouravieff may not? Why is Gurdjieff’s brutality condoned as ‘the excising of false personality’ by ‘a Master of Blame’, while the brutality of Burton and Horn is merely abusive? Why is Gurdjieff’s sexual behaviour with his female students unmentioned in the light of Burton’s alleged sexual abuse of his pupils? There may be good reasons for these distinctions, but Patterson does not give them. Monkey Junk (1927) is a recently rediscovered short, short story by Zora Neale Hurston (1891-1960) one of a number of Harlem writers who belonged to a Gurdjieff study group in New York led by A. R. Orage which examined G. I. Gurdjieff’s Beelzebub’s Tales To His Grandson, (eventually published in 1949). The book itself was regarded by Orage and members of the group as a scripture, providing the necessary spiritual intermediary to enable it’s readers to access ‘higher consciousness’, and so create the soul which, according to Gurdjieff, does not exist in ‘man as he is’. Written in 62 faux-Biblical verses Monkey Junk exemplifies a conflation of Biblical, Gurdjieffian and Egyptian myth, and employs apparent errors and anomalies which invite the astute reader to question the text. This is in accordance with Gurdjieff’s own literary use of what he terms ‘lawful inexactitudes’ a method of concealing a secret or inner ‘objective’ text within his presented text. The notion of a specific and findable lawful inexactitude can be thought of as constituting a Gurdjieffian myth that asks his readers to question the ‘lawfulness’ or ‘exactitude’ of his text. The presence of ‘lawful inexactitudes’ in Monkey Junk demonstrates the influence of the Tales in Hurston’s writing, an influence largely unexplored in critical works which examine her writing. Abstract: Gurdjieff as Magus’ looks at G. I. Gurdjieff (1866?-1949) in his role as a magus. 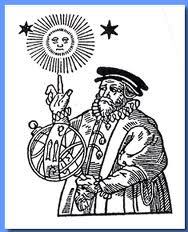 He taught pupils the acquisition of will, use of symbolism, inter-relationship of macrocosmos to microcosmos and a manipulation of cosmic laws so as to form a set of new bodies of ever finer materiality and longevity. It shows the centrality of hypnotism to his teaching about consciousness and how hypnotic techniques function in his texts and oral teachings. Gurdjieff used the imagery of black and white magic and reflects the roles of both black and white magician, using alcohol, drugs and intense pressures to entangle pupils usually for short periods of time. Lastly the paper looks at how the teaching has become institutionalise, necessitating omissions and redefinitions of both Gurdjieff and the Work. Gurdjieff was born 1866/70? and died in Paris in 1949. He taught that human beings have no central ‘I’, are asleep and need to wake up. His teaching addresses this problem through a variety of methods for the integration of mind, body and emotions. Change is inherent in Gurdjieff’s teaching because he both embraced and provoked change; in relation to the needs of his pupils and also in accordance with contemporary interests. This has made it difficult for the teaching to be passed on in one form only, and in fact the Work has fragmented into many streams. We will look first at how Gurdjieff embraced change, adapting his teaching to contemporary interests; secondly at how he provoked change; and thirdly at how these changes relate to the continuation of his teaching after his death. We will look briefly at two points, in Gurdjieff’s long teaching career, which show how he changed the form and mode of his teaching. When Gurdjieff began teaching in Russia c1912, his cosmological teaching was given in occult terms, the group meetings were held in secret, pupils could not relate what they learned to others outside the group. This was in accord with contemporary interests because the occult revival was strong in Russia, Theosophy and other Western Occult teachings were of great interest to the intelligentsia in general and Gurdjieff’s pupils in particular. Then, in 1924, Gurdjieff made another dramatic change in the form of the Work and began to put his teaching into a written form. This was also in accord with contemporary interests because Paris was both an occult and a literary centre. In the 1920s and 1930s there were many English language writers in Paris and the two interests, occultism and literature were intertwined. Gurdjieff’s texts reflect both interests, they contain many occult references and are zodiacally structured. They may also be defined in relation to contemporary modernist literary interests, in the rejection of conventional literature, experimentation with punctuation, and romantic interest in myth and the anti-hero. 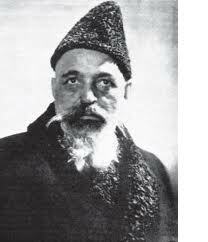 The high profile period of Gurdjieff’s teaching from c1922 – c1932 was important because it enabled him to attract large numbers of pupils and because his ideas were also spread by writers, for example: T. S. Eliot, Ezra Pound, Henry Miller, and Aldous Huxley. This would not have happened had he continued teaching in the closed format that he used in Russia. These changes show that Gurdjieff was willing to embrace contemporary interests and to change the form and mode of his teaching accordingly. Although most of his pupils stayed with Jeanne de Salzmann (b.1889) who remained until her death in 1990 the head of the Foundations set up to transmit and preserve the authentic teaching, at least eight of his pupils, some sooner than others, formed their own institutes or groups which carried on the Work outside the umbrella of the Foundations. Many of these groups, or those which have sprung from them, are still functioning. The life-myth, which Gurdjieff created for himself in his writings, has also been a cause for fragmentation within the Work. He acknowledged that he drew his teaching from a number of diverse sources, and although traces of Western European Occult traditions, Christianity, Islam, Hinduism and Buddhism can all be detected in his teaching and his texts, he left no information about his sources that we can verify. The obscurity and multiplicity of the sources from which Gurdjieff drew his teaching has allowed for the re-fragmentation of his teaching back towards its possible constituent parts. But, while some of those outside the Foundations have sought to take the teaching back to its ‘origins’ others have sought to take it forward, making it in tune with the times, arguing that this is what Gurdjieff himself would do were he alive now. Thus there are the ‘Gurdjieff Ouspensky Schools’ and ‘The Fellowship of Friends’, they operate outside the Foundations, do not have a line from Gurdieff’s pupils, and they do advertise. Although the Foundations were set up to conserve the Work, there is a sense in which the teaching was irrevocably changed by Gurdjieff’s death because pupils were now without his charismatic presence. I was informed in personal communications that Jeanne de Salzmann visited spiritual teachers in North Africa and India, researching how to take the Work forward. Whatever she decided, she does seem to have made one important change. In the late 1960s or early 1970s she introduced a new form of passive and receptive Work, where the pupil received love, through the crown of the head, he experienced himself as being worked upon, rather than actively working on himself, (these changes were not introduced in London until 1980). While we cannot be sure that Gurdieff did not introduce this form of Work at the end of his life, there is nothing in his texts nor in the pupil memoirs which suggest this. All of these stress the need for incessant struggle against passivity and sleep. Destabilising paradoxes, contradictions and anomalies are of value because they arouse questioning and force the pupil to be active in relation to the teaching. These are qualities which Gurdieff valued and it is clear from his writings that he was aware of and valued the irreconcilable elements within his teaching. As mentioned earlier, Gurdjieff’s teaching remained a revolutionary, occult, anti-establishment, anti-rational teaching and this renders any aim to establish it as a tradition, or to conserve one specific form of it problematic. We can see that the aims of the Foundation, expressed in relation to preserving the teaching, is very different from Gurdjieff’s own approach where indeed he did use the ‘thought forms of the time’ and taught through them. The second quotation is from Roy Finch’s introduction to a book of Pentland’s group meetings. He refers to Pentland as a spiritual director who is compared to Thomas Merton, among others. This may show the Foundations moving to establish themselves with the Traditions, or at least looking for a more public face than they have had up till now. The Foundations have always followed the quiet mode of teaching of Gurdjieff’s later years, they have never advertised and so the number of new pupils have declined. In conclusion we can see that the changes which Gurdjieff made in his teaching, the inconsistencies and the paradoxes that he presented through the way he taught, through his theory and his teaching texts, have opened the teaching to appropriation and fragmentation. Formal and informal Work groups, some with lineage and some without, groups which focus on past origins and those which focus on present adaptations, both advertised and unadvertised now exist in Australia, China, India, Japan, Malaya, North and South America and Europe in a multiplicity of expressions which continue to fragment and reform. ‘While the truth sought for was always the same, the forms through which he [Gurdjieff] helped his pupils approach it served only for a limited time’ de Salzmann in Gurdjieff, G. I., Views From The Real World: Early Talks of Gurdjieff. (Views). London: Routledge & Kegan Paul, 1976, p. vii. Webb defines the occult as ‘rejected knowledge, that is an Underground whose basic unity’ is that of being in opposition to the established political and religious powers. Webb, James, The Flight From Reason (vol. I of The Age of The Irrational). London: MacDonald, 1971 pp. v-vii, 120-21. Alchemy, astrology, Hermeticism, Gnostisicm and the mystery religions are all forms of occult teaching traces of which can be found in Gurdjieff’s teaching. Taylor, Paul Beekman. Shadows of Heaven: Gurdjieff and Toomer. York Beach Maine: Samuel Weiser, 1998, p. 9. Taylor, Paul Beekman. Gurdjieff and Orage: Brothers in Elysium. York Beach Maine: Samuel Weiser, 2001, p. 22-3. Wellbeloved, Sophia. Gurdjieff Astrology & Beelzebub’s Tales. Aurora, Oregon: Abintra, 2001. Moore, James. Gurdjieff: the Anatomy of a Myth. 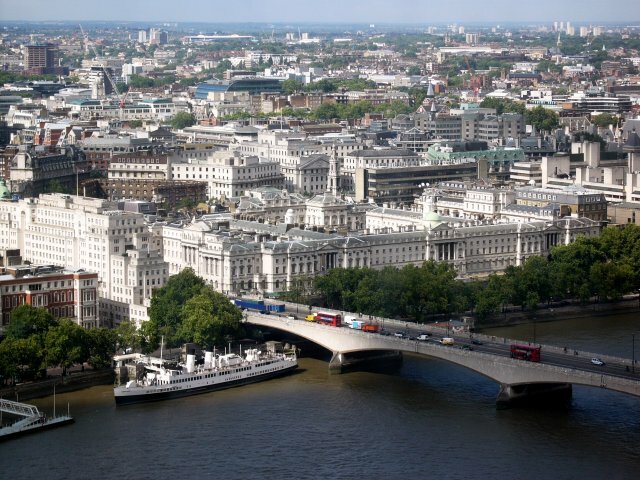 London: Element, 1991, p. 288. Paul and Naomi Anderson (American Institute For Continuing Education, USA) John Bennett, (Sherbourne, Combe Springs, UK and Claymont USA), Rodney Collin (Mexico USA), C. Daly King, USA, Louise March (East Hill Farm, USA), Willem Nyland (Institute for Religious Development, USA), A. L. Stavely (Two Rivers Farm, USA), Olgivana Wright (Taliesen, USA), from a diagram in Speeth, Kathleen, Riordan. The Gurdjieff Work. London: Turnstone, 1977, p. 96, (first pub. USA: And/or, 1976). Moore, James. ‘Neo-Sufism: The Case of Idries Shah’ Religion Today: A Journal of Contemporary Religion 3 (3),n.d. pp. 4-8 and ‘New Lamps for Old: The Enneagram Debacle’ Religion Today: A Journal of Contemporary Religion/ 5, (3) n. date pp. 8-11.
 see Wellbeloved, Sophia. ‘G. I. Gurdjieff: some Reference to Love’, Journal of Contemporary Religion, Vol. 13, No. 3, 1998 pp. 321-332. Taylor, Paul Beekman. ‘Decontruction of History in the Third Series’ All & Everything Proceedings of the International Humanities Conference, ed. H. J. Sharp and others, Bognor Regis, privately published 1997. Patterson, William Patrick. Eating the ‘I’: A Direct Account of the Fourth Way – the Way of Transformation in Ordinary Life. California: Arete, 1992, p. 348). Pentland, John. Exchanges Within: Questions from Everyday Life selected from Gurdjieff Group Meetings with John Pentland in California 1955 – 84. New York: Continuum, 1997. Finch, an academic philosopher and long term Gurdjieff student, includes Simone Weil, Baron von Huegel [Hugel], Martin Buber, Frithjof Schuon in the list of spiritual directors with whom Pentland is compared. Wellbeloved 2001, pp. 42-5. Ouspensky (1987, p. 378) shows an ‘astronomical enneagram’ in which seven of the enneagram’s nine points are represented by the seven planets. Levine, Janet. The Enneagram Intelligences: Understanding Personality for Effective Teaching and Learning. Westport: Bergin & Garvey, 1999, pp. 12, 18). Gurdjieff’s own instructions on reading his texts are to read them three times, each time differently. The first reading should be as we are already mechanized to read, the second as though out loud, and only thirdly should we try to fathom the gist. I connect these three reading modes with Gurdjieff’s law of three, that is, passive, active and reconciling ways of reading. The first two modes may seem achievable, although I doubt that anyone has managed to get through the convoluted sentences of Beelzebub’s Tales without trying to understand what they mean; but what about Gurdjieff’s required third, reconciling mode of reading, attempting ‘to fathom the gist’? One of the helpful areas in which to begin this quest is with the song-contests of Kars, the city where Gurdjieff grew up. These contests are still going on and there is a useful account of them, valuable for anyone interested in Gurdjieff’s texts in Yildiray Erdiner’s The Song Contests of Turkish Minstrels: Improvised Poetry sung to Traditional Music, New York and London: Garland, 1995. He writes of how the singers, Ashoks, were judged on their abilities not only musically, in singing or playing and improvising, but also in knowing how to throw their competitors of balance through insults, jokes, and sexual innuendo. They had to be familiar with the Koran, able to ask and answer riddles and exploit the weaknesses of their opponent in anyway they could. These contests demanded considerable critical ability, from the singers, the audience and the judges who had to decide on a winner. Thus we can see that as well as growing up with a story-telling tradition Gurdjieff also grew up with a critical tradition which enabled the listener to evaluate the stories and the performances of the Ashoks. If we try to fathom Gurdjieff’s texts with the help of this critical ability we can begin to explore his writing in terms, for example, of jokes, insults, riddles, and when we appreciate that the text is constructed using these strategies, in order to provoke specific responses, we can begin to wonder what he intends us to understand. However, perhaps because he denied writing literature, many readers agree to distance Gurdjieff from literature and so the useful traditions of literary criticism are not often brought to bear on his writing. But Gurdjieff himself demanded a critical mind, see his aphorism 27. ‘If you have not by nature a critical mind your staying here is useless’ (Views From The Real World: Early Talks Of Gurdjieff . London: Routledge & Kegan Paul, 1976, p. 275) and often tells us not to take what he writes literally (see Views pp. 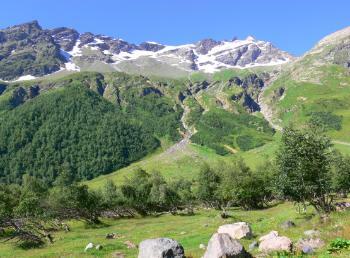 14-5, 201, 260). Of the many forms of literary criticism available, there are books which explore the Archaic Epic Traditions, (Sumerian, Greek, Turkik) and reading them brings to light many of the themes patterns and methods of setting out stories which can be found in Gurdjieff’s writings. I give some of the titles I have found useful below. I have also included Frye’s work on the Bible, as there are many Biblical references in Gurdjieff’s texts. But if these are not available, or you don’t find them useful, it is worth exploring, seeing what you can find and reading the bits that interest you. In terms of Gurdjieff’s teaching, that understanding depends on the relationship of knowledge to being, we can see that the knowledge of critical methods is one form of knowledge that is not only useful but necessary for readers to acquire, if they wish to engage in a process of understanding, i.e. of fathoming the gist of his writings. 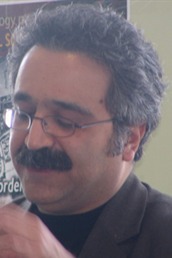 Looking at the tradition or traditions of stories within which Gurdjieff has decided to frame his narrative enables us, as readers, to place the text outside the confines of his own teaching theory, and read it in relation to the wider context of its own cultural, mythological, scriptural and philosophical origins. 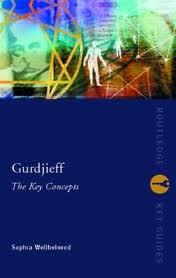 Gurdjieff uses the word beginnings in his title and so we might expect to find some references to origins or beginnings. In terms of myth those which explain/explore the beginnings and origins of, for example, creation, the moon, of man, of the beginnings of agriculture are termed aetiological myths, (from aetiology the science or philosophy of origins and causes). The word perspectives can mean either an optical instrument, microscope or telescope, or a view as in vista, or a representation of the view, so a means of viewing or a view. Put together this suggests the origins of views which in ‘promising nothing very cheerful, we could understand as ‘unpromising views’, maybe pessimistic views. Gurdjieff does start this brief chapter with a direct mention of Atlantis, this myth has its written origin in Plato’s Timaeus and has retained a place in story-telling ever since. It is an early story which has itself been the origin of pessimistic views about humanity, civilizations, catastrophic destruction and uncertain futures, brought about by human as well as natural causes. Concerning the loss of Atlantis, which is what Beelzebub mentions here, its sinking into the sea is likely to be read by a Gurdjieff reader as a reference to his notion that human conscience has sunk into the subconscious. Especially as the sea is often a symbol for the inner deep. But a wider look at the Atlantis myth, as an idealised ‘higher’ civilization which fell due to natural catastrophe, shows it to be within the pattern for other Falls presented in the Tales. 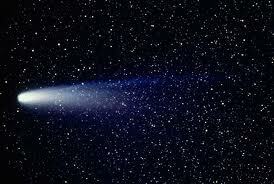 The first disaster came about due to the comet Kondoor’s collision with earth, this itself was a cause, which led to the creation of the Moon and Anulios, and to the changes Beelzebub mentions here in the life span and quality of vibrations of earth beings. Later in the Tales Beelzebub will return to the Fall of other great centres of culture, in the past Babylon, in the future Paris. The notions of recurring catastrophes, comes down through Western European culture from Babylonian astrological thinking of around the third century BC and reflects their ideas about time. They understood that the universe would come to an end recurringly, one end would be by flood, being the result of a line up of planets in the sign of Capricorn, and one end by fire being the result of a line up of planets in the sign of Cancer (these are the solstices, winter and summer). The flood story is an excellent one to point out how a story can be interpreted to indicate a change of thinking. In the Biblical Fall Adam and Eve’s loss of grace and expulsion is the cause and origin of time, (mirrored in the Tales by the expulsion of time from the Sun Absolute which resulted in the created universe). 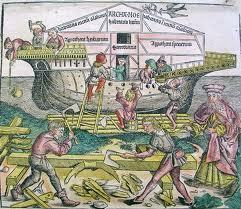 The Biblical flood myth ends in God’s covenant with Noah that he will never again send a flood, a Christian interpretation of the story might see this as a challenge to the Babylonian cyclical thinking about time, when there will be flood after flood, and that is how it has often been presented by theologians. However, Hebrew thinking about time was as much cyclical as was the Babylonian, and in fact the Bible records catastrophe after catastrophe, Fall, Deluge, Egyptian captivity, division of Israel into Israel and Judah, conquest by Assyria and Babylon. Gurdjieff’s catastrophes, Atlantis included, belong to the Babylonian tradition of thinking about time in relation to cycles and echo Biblical catastrophes. The notion of the end of time belongs to Millenarianism, in which rather than established ritual adjustments to the cycles of time there is a large scale apocalyptic crisis, brought about by revolt against the established order. After divine intervention, unjust enemies are vanquished, time comes to an end its slavery replaced by the freedom of eternity. Millenarianism has its own sets of stories, (see the Biblical Books of Daniel and Revelation, and early Christianity). The hope of a revolution which will destroy corrupt order and establish a new and better one, has taken many forms including that of Marxist theory. Revolts and revolutions are interventions to disrupt the cyclical flow of time, both sets of thinking could and did overlap, and both are present in the Tales which tells stories of revolt, stresses the remembrance of mortality, our ‘end’ and expresses a recurring but downward spiral and which seems to suggest a final end. In generalized terms we could understand the adjustments made to accommodate seasons and other natural cycles as an acceptance of time while Millenarian revolt is rejection of time. Beelzebub tells Hassein of the cause or origin of changes, that is of temporal events. 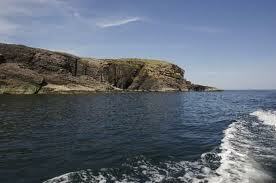 All the causes of change in the beings’ presences occurred after the sinking of Atlantis. The changes they made themselves were the cause of further changes made by Great Nature. These changes explain the origins of men on all land masses. This reference to Great Nature, suggests the Earth as Mother, determined to feed her children the Moon and Anulios, and connects with stories of the Earth as our Mother, from whom we come, our origin. Then Beelzebub explains the causes, heredity, conception and other factors which mean that the beings exteriors are all alike. He explains that the differences in colour of skin and formation of hair are caused by the place of birth and upbringing. Again these are themes of origins how we came to be similar and how different. Is There an ‘Original’ Beelzebub’s Tales? 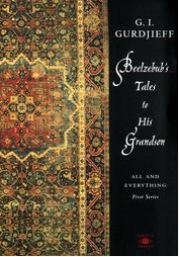 The text of Beelzebub’s Tales To His Grandson emerged over a period of time as the result of a set of processes which are closer to the oral tradition of story-telling than to the contemporary notion of a writer sitting down to write his text from beginning to end. Although we do not have an exact record of the many steps through which the Tales came into being we do know that there there were a variety of languages, translations, alterations in response to readings, and a continual process of translation, not only from from other languages into English, but also re-translations from English back into other languages, (some of these processes are mentioned in the notes below). Thus there cannot be said to have been any ‘original’ version of the Tales from which the final English language version sprung. I am grateful to Paul Beekman Taylor who gave me much additional information about the processes that led to the 1950 published version of the Tales and which I have incorporated in what follows. Gurdjieff wrote brief notes from which he gave extended dictations, so even if we had the notes they would not give an ‘original’ text. He destroyed all the notes. Olga de Hartmann says that she took down all of the Tales from Gurdjieff in Russian, but there is no evidence for this and there is evidence to the contrary. Gurdjieff also dictated to Lilly Galumnian in Armenian. When Gurdjieff was in cafes writing notes from which to dictate, he wrote in several different languages, and he never minded mixing languages together. In relation to Gurdjieff’s comments in the first ‘Arousing of Thought’ chapter, concerning which language he ought to write in, Gurdjieff himself advises us that we should not take what he says or writes literally. Readers tend to choose specific bits of the Tales that they want to regard as ‘literally true’, but all readers do not chose the same bits to be ‘true’. Thus Gurdjieff’s written remarks about the language he uses ought not to be taken literally. If Gurdjieff’s text is taken as literally true, then there really was a space ship in the sky in 1921, containing Beelzebub, Hassein and Ahoon. If we do not accept that then we have to go for an interpretation of the text in its entirety. Thus his language, in whatever ‘original’ language he wrote or thought is primarily something to interpret, a symbolic, mythic or metaphoric truth. In all these cases we the readers must interpret what is written. The English language version, which is the only one Gurdjieff saw and approved just before he died is the one which was most important to him because his teaching was directed towards America and the English speaking Americans. Here are some further notes on the processes involved in creating the text taken from ‘Gurdjieff, Astrology & Beelzebub’s Tales’. New Paltz, NJ: Solar Bound Press, 2002, pp. 28-30. “There are conflicting dates given for when Gurdjieff began the Tales. According to Olga de Hartmann Gurdjieff started to write the Tales on 16 December 1924. Taylor writes that in August or early September, Gurdjieff had already mentioned writing the Tales, and suggests July or early August as a starting date. Gurdjieff himself gives 1 January 1925. This book provides a wealth of new information and stories about Gurdjieff, setting him within the cultural and social contexts of America Between 1924 and 1935more accurately and more fully than earlier biographies. Seymour B. (Sy) Ginsburg was born in Chicago, Illinois, in 1934, and graduated from Northwestern University with degrees in accountancy and law. He was a founder of a predecessor business and the first president of Toys R Us, and afterward a member of the Chicago Mercantile Exchange. On a private visit to India in 1978, he met the guru, Sri Madhava Ashish, who advised him: “If you want to study in a Western way the path that we follow here at Mirtola, you need to study and work with the Gurdjieff teaching.” Sy is active in the Theosophical Society and was president of the Theosophical Society in South Florida for many years. He was a founder of the Gurdjieff Institute of Florida, and has been a student of Theosophy and of Gurdjieff’s teaching for more than twenty-five years. With his wife Dorothy, he currently divides his time between South Florida and Chicago where he periodically gives this introductory course on Gurdjieff’s teaching to introduce the teaching to those who may be interested. 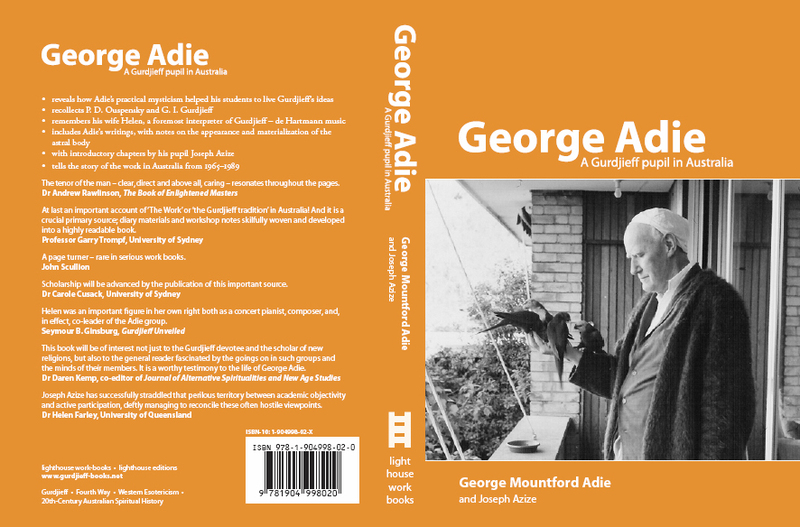 Joseph Azize introduces us to George Adie, Gurdjieff’s pupil who led the Work in Australia from 1966 to 1989. 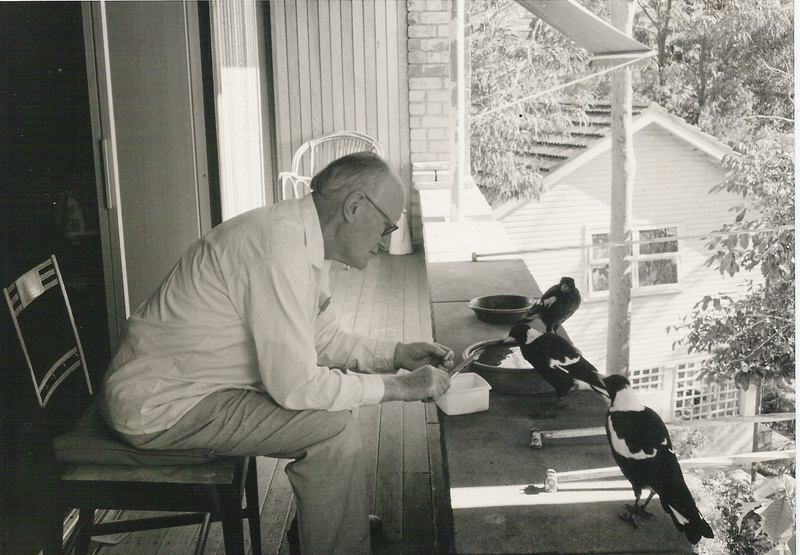 There are extracts from the Adie diaries, papers, meetings and table talk and photographs. Azize’s introduction gives a personal picture of Adie and his wife Helen, which reveals an innovative and compassionate teaching, faithful both to what was learned from Gurdjieff and to an awareness of the need to make the teaching ever new and fresh. And it is a crucial primary source; diary materials and workshop notes skilfully woven and developed into a highly readable book. This book will be of interest not just to the Gurdjieff devotee and the scholar of new religions, but also to the general reader fascinated by the goings on in such groups and the minds of their members. It is a worthy testimony to the life of George Adie. Joseph Azize has successfully straddled that perilous territory between academic objectivity and active participation, deftly managing to reconcile these often hostile viewpoints. Websites: in conjunction with these aims there are three wordpress blogs. http://www.sophiawellbelovedpoetry.wordpress.com see here for details of conferences and information for academic and practising poets and writers. These three sites cover overlapping but separate issues relating to Western Esotericism. 13 May 2010, in Girton College, Wolfson Court, Cambridge. Practitioners and scholars of magical and other esoteric teachings asked how do we define legitimate forms of knowledge?